An advanced manufacturing supercluster involving the MaRs Discovery District in Toronto, Linamar, Maple Leaf Foods Inc. and the University of Waterloo wants to drive collaboration between the technology and manufacturing sectors. 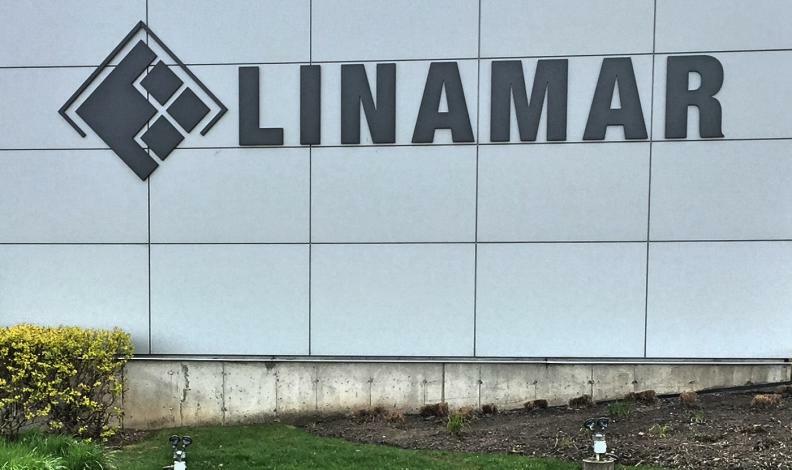 MONTREAL -- Ottawa has announced a shortlist of nine “supercluster” proposals — including one that involves auto parts maker Linamar Corporation — that could qualify for a piece of a $950-million federal fund to spur on business development. Innovation Minister Navdeep Bains announced in Halifax that the Ocean Supercluster proposal — an applicant from the Atlantic region — is an industry consortium that would expand digital technologies in aquaculture, fisheries, offshore oil and gas, and clean energy. It is led by Petroleum Research Newfoundland and Labrador, and includes Emera Inc., and Dalhousie University. "If selected as one of Canada's five superclusters, the Ocean Supercluster would energize Canada's ocean economy by investing in digital ocean technologies that will increase Canada's competitiveness and create middle-class jobs for this generation and the next," Bains said in a statement. "Superclusters are job-creating regions with strong economies, like Silicon Valley, and our government intends to create five of them in Canada." The Halifax announcement was the first in a cross-country tour to reveal the shortlist, following the submission of more than 50 proposals involving over 1,000 firms and 350 participants. The proposed tech hubs are aimed at fostering public-private partnerships in industries across the country. The contest, a cornerstone of Ottawa's innovation agenda, aims to lift the economy, promote research and create high-quality jobs. Bains has said he's looking for ambitious bids that also feature intellectual property strategies designed to keep benefits for Canada. The head of the Canadian Automotive Parts Manufacturers Association lauded the creation of a small number of business-led innovation superclusters when they were announced as part of the federal budget in March 2017. “The emerging technology cluster in automotive, from that Toronto-to-Waterloo corridor and maybe Ottawa exclusively, is world class,” APMA President Flavio Volpe told Automotive News Canada after the budget was announced. According to Yoshua Bengio, an expert in artificial intelligence and head of the Montreal Institute for Learning Algorithms, the supercluster approach will likely benefit large companies, but smaller firms and start-ups — particularly in the AI sector — may not see similar advantages. "I think that the government needs to think about what they can do to help the startups and small business, and especially in AI, this is a really important aspect of the strategy to make Canada a leader in this field." Another proposal on the shortlist based in Quebec is designed to bolster Canadian leadership in artificial intelligence and data science. It is led by the Optel Group and includes proponents such as Alimentation Couche-Tard Inc., Bell Canada, CGI Group Inc., AgroPur, Aldo, Cascades Inc. and the University of Montreal's Polytechnique. Montreal-based flight training and simulator company CAE Inc. leads the mobility systems and technologies supercluster proposal, which includes more than 170 firms. In Ontario, a proposed clean, low-energy supercluster led by the Canada Mining Innovation Council wants to position Canada as a leader in clean resources, clean technology and responsible sourcing of metals. It would also tackle global challenges such as energy intensity, water use and environmental footprint. A protein innovations Canada supercluster in the Prairies would position Canada as the global supplier of plant-based proteins and related products. Led by Ag-West Bio Inc. and including the University of Saskatchewan, it would focus on new technologies and value-added supply-chain infrastructure. A smart agri-food supercluster led by Agrium Inc. would work on building information technologies in the crop, livestock and agri-food processing sectors. Stantec Inc. leads a proposed infrastructure supercluster that aims to use advanced digital communications and interconnected applications to improve design and construction. A proposed digital technology supercluster led by Telus Corp. and including Microsoft Canada Development Centre and six post-secondary institutions in B.C. wants to focus on inventing, developing and applying digital technologies.